Gabe Polsky's Red Army is a sports documentary for non-sports fans. The film tells the story of the Soviet Red Army hockey team from the 1970s to the 1990s, yet is so much more than just a film about sports. The Red Army hockey team was a world-class team, but being a world-class team came with a very heavy price. The players would be in training 11 months out of the year and thus have no life outside of the team. When the longtime coach was taken off of the team and replaced with a monstrous new one, tensions increased. Red Army obviously has plenty of material that will please sports fans, but the film will appeal to everyone, as places a heavy focus on the human drama. 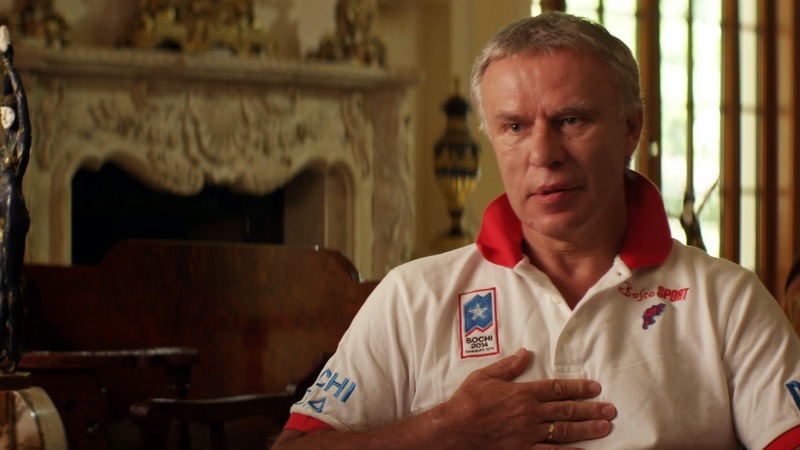 With former Red Army member Slava Fetisov as our main guide, we are lead through decades of Red Army history with emotion and humor. Polsky had remarkable access to archives and the key figures in the Red Army story, and the interviews in the film are incredibly candid. What stands out above anything else though is how unexpectedly moving Red Army’s core story is. Red Army is a movie about stories, not straight statistics. It realizes that history is exciting and brings it to life through the interviews, archival footage, and photos. When some of the players are forced to make hard decisions about their futures, it is hard not to be moved by their struggle. The subjects aren’t talking heads, they’re real people, warts and all. Overall, Red Army is a highly entertaining, well-produced, and insightful documentary about a group that has never been given a human face. The Soviets and their hockey team were the face of evil to America in their heyday, and many forget that the team was made of human beings. Gabe Polsky has made a film that should have large crossover appeal upon its release later this year and is one I have no problem recommending to just about anyone.